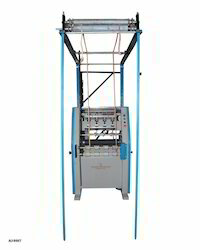 We are engaged in manufacturing and supplying a wide range of Fast Knit Braiding that are processed in our state-of-the-art facilities with top grade quality of raw materials. These conform to international quality standards and are available at industry-leading prices. This range has several salient features and is eco-friendly and cost-efficient. We offer Fast Knit Braiding with Four Heads for Round Heavy Cord . These braiders are fabricated using quality materials and advanced production technology. Our range is also stringently checked for compliance with the prevailing industry standards and excellent performance. Moreover, these braiders are sturdily constructed and are acclaimed for features such as technical superiority, durability and low maintenance. We offer Fast Knit Braiding with Eight Heads for Round Cord Laces. 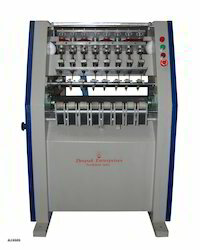 These braiders are fabricated using quality materials and advanced production technology. Our range is also stringently checked for compliance with the prevailing industry standards and excellent performance. Moreover, these braiders are sturdily constructed and are acclaimed for features such as technical superiority, durability and low maintenance.